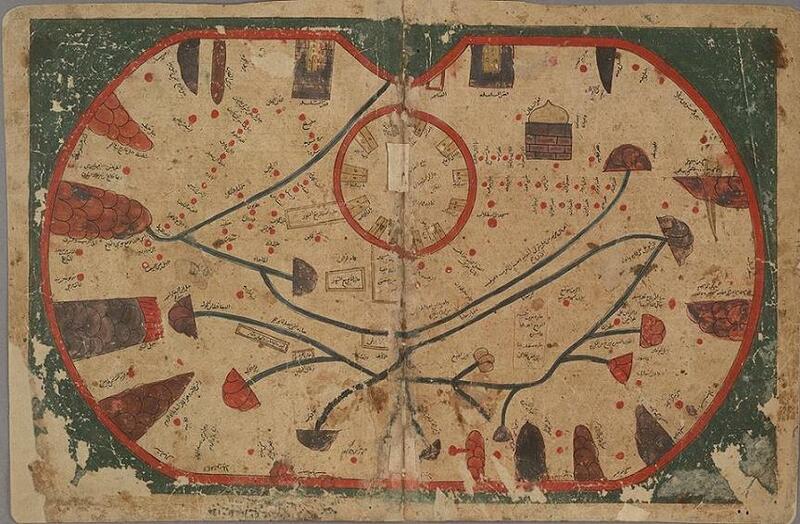 Left: Original Al-Idrisi 12th century map with Mecca (Makkah) center north above Arabia and Europe lower right. Right: Map flipped to visualise our modern view, Europe in upper left and Mecca in the centre south. We tend to take many things for granted. Today, we are equipped with numerous means of communication and transport over land, sea and air. We have such freedom to swiftly travel around the globe, so much so that we tend to travel far and wide without ever considering the immense contributions others have made for our convenience. Great scholars from Muslim Civilisation, indeed, turned the world upside down with their maps; not just metaphorically but world maps once were literally upside down (with south dipicted at the top). As more people began to travel the world 1,000 years ago for trade, exploration and religious reasons, the demand for good maps increased. 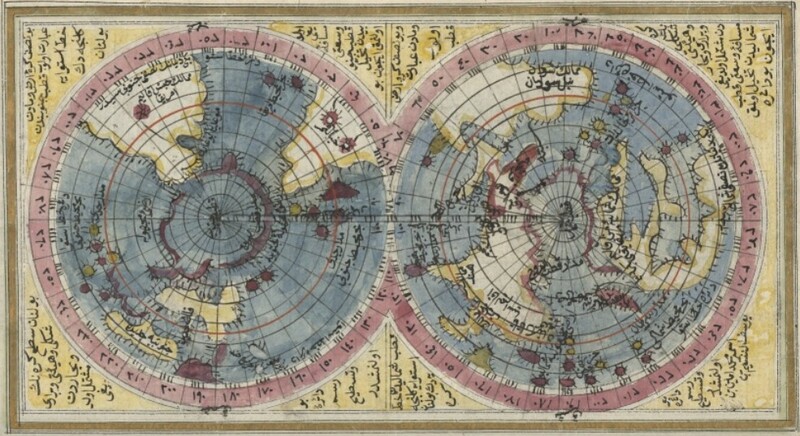 Some of the world's most precious maps were drawn then by scholars, geographers and seafarers who assembeld the geographical knowledge known to them - they carried out detailed mathematical analysis, measured and charted the Earth's features, used sophisticated astrolabes to help assess height and distance - to construct intricate maps of the world. Here we introduce ten key examples. 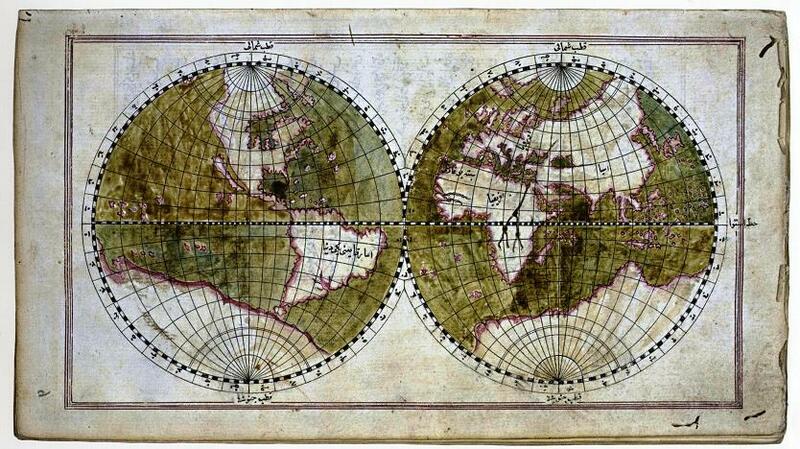 The "Ali Macar Reis Atlas" is housed in the Topkapi Palace Museum Library (Hazine 644) in Istanbul. As a work of art, this atlas certainly ranks among the most successful. It consists of six portolan charts and one mappamundi, all on double pages, i.e., there are fourteen pages. They are drawn on parchment leaves and bound in leather, forming an appealing small volume. The artist-cartographer who drew these charts must have been professionally connected to those who drew other similar maps in Christian Europe; and the artistic perfection of this atlas strongly argues against it being the isolated work of a captain who would only have been imitating such models; the author must have been a craftsman with great experience of this type of work. A world map by Abul Qasim Ubaidullah ibn Abdullah ibn Khurdad-bih al Istakhri (934 CE) aka Estakhri. The map is oriented with South at the top as was common of maps at the time. 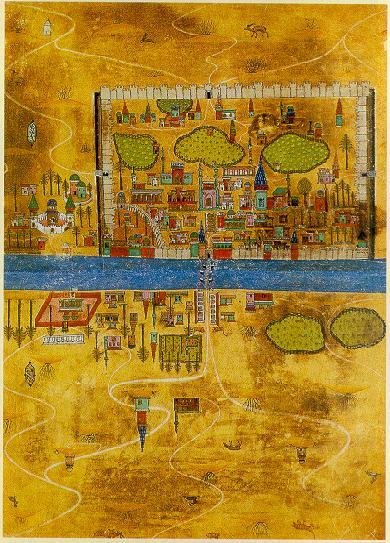 Picture displayed on "Old Manuscripts and Maps from Khorasan". It was beilieved that Estakhri created the earliest known account of windmills. His Arabic language works included masalik al-mamalik "Traditions of Countries" and Suwar al-Aqaaleem "Shapes of the Climes". The book entitled Tārih-i Hind-i Garbī (History of the West Indies), probably written by Muhammad b. Amir al-Suûdī al-Niksarī (d. 1591) in the 16th century, contains information about the geographical discoveries and the New World (America). This work, based on Spanish and Italian geographical sources, was presented to Sultan Murād III in 1573. The book tells the amazing stories of the explorations and conquests of Columbus, Cortes, Pizarro, and others, and it also endeavours to incorporate the new geographic information into the body of Islamic knowledge. 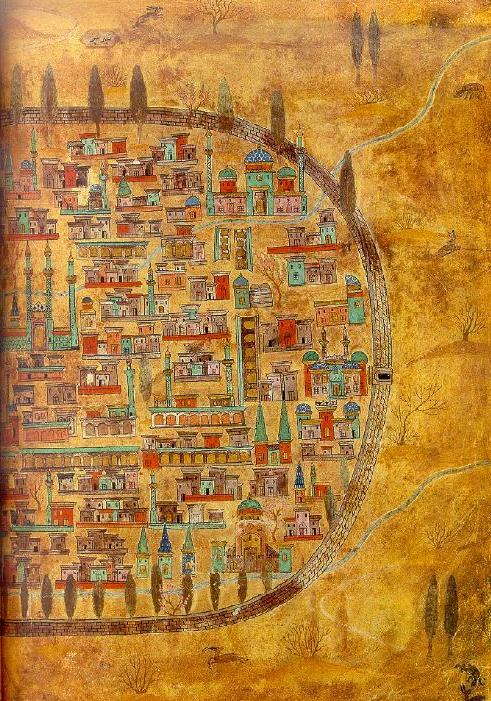 It presents a major effort by an Ottoman Muslim scholar, almost unique in the 16th century; firstly, to transmit through translation information from one culture (European Christendom) to another (Ottoman Islam), and secondly, to correct and expand Islamic geography and cartography. 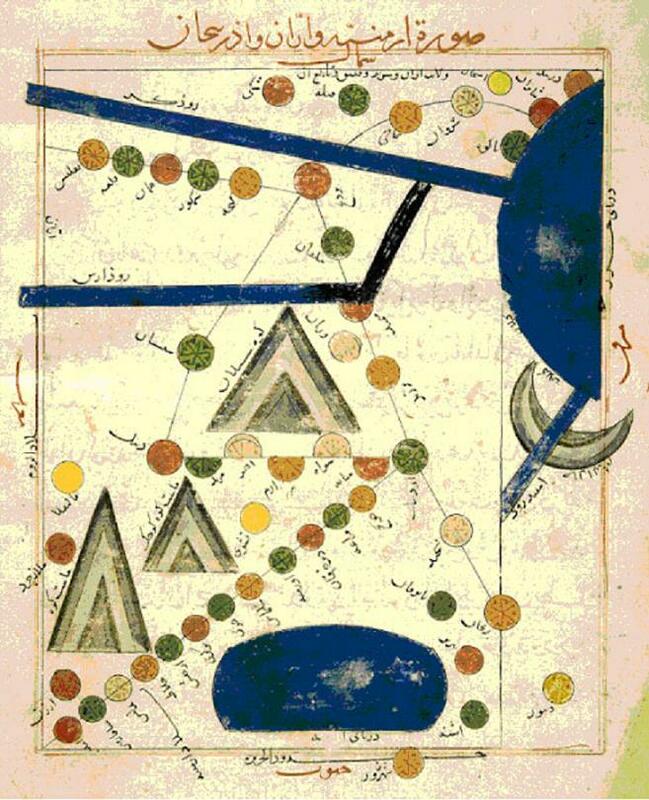 A map (also oriented with South at the top) by the widely travelled Abu al-Qasim Muhammad b. Hawqal, originally from al-Jazira region in Turkey, north of Mardin. He is also referred to as al-Nusaybini, after Nusaybin town located in the region. Very little is known about Ibn Hawqal but he is believed to have been a Baghdad-based trader who loved traveling. Researchers attribute the dearth of information on Ibn Hawqal to the fact that he spent a substantial part of his life in traveling and never stayed put in a certain region. It is his book, Surat al-Ard, from which we can derive some information about him while to the effect that he was fond of reading especially books by Khurdadhebah, Qudadamah and al-Jihani, which might have been the reason behind his keenness to travel and see the places he read about. 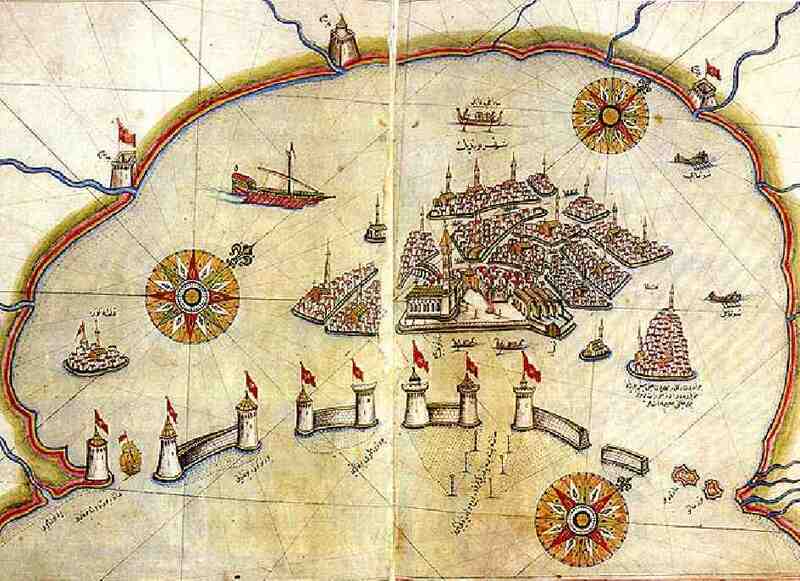 Tuhfat Al-Kibâr fî Asfâr Al-Bihâr (The Gift to the Great Ones on Naval Campaigns) was written by Kâtib Çelebi in 1657 and emphasises the importance of the Turkish activities in the seas and the Ottoman contribution to the navigational history. Kâtib Çelebi emphasised the importance of the science of geography at the introduction of Tuhfat al-kibâr and explained that the rulers of the state should know the frontiers and borders of the Ottoman State and the states in this region even if they do not know the whole of the Earth. Çelebi valued history like we do in a modern sense today and asserted that most people did not know the real value of this branch of knowledge and thus viewed history as if it were a tale. He expressed his complaint about this saying "who reads and listens to a letter of love and faithfulness?". 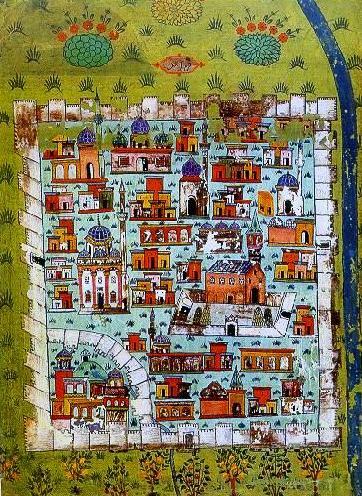 A map by Abu Zaid Ahmed ibn Sahl al-Balkhi (850-934), a Persian geographer who was a disciple of al-Kindi and also the founder of the "Balkhī school" of terrestrial mapping in Baghdad. Picture displayed on "Old Manuscripts and Maps from Khorasan". Mahmud of Kashgar completed his famous book Divânu Lügati't-Türk in 1074. Famous for being a linguist, he wrote the book in order to teach Arab speakers Turkish and to prove that the Turkish language was as important as Arabic. Mahmud stated that the regions of all the Turkish tribes from Europe to China were included in full detail within a circular map, which, as he pointed out, was drawn in order to indicate the regions the Turks inhabited. The western, northern and southern parts of Asia were left undrawn but despite the fact that the map was full of errors, the data about the eastern regions were correct. Mahmud showed the Great Wall of China on his map and mentioned that this wall and high mountains acted as natural obstacles preventing him from learning the Chinese language. He also stated that Japan shared the same fate, being an island in the eastern part of Asia. 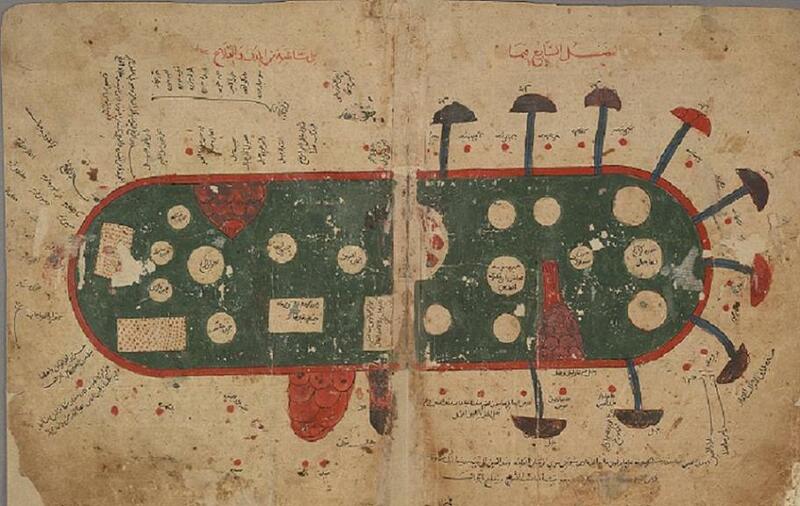 The Bodleian Library at the University of Oxford has purchased the medieval Arabic manuscript Kitab Gharaib al-Funun Wa-Mulah Al-Uyun popularised under the title the Book of Curiosities, an exceptionally rich text on cosmography. The treatise is one of the most important recent finds in the history of Islamic cartography in particular, and for the history of pre-modern cartography in general. 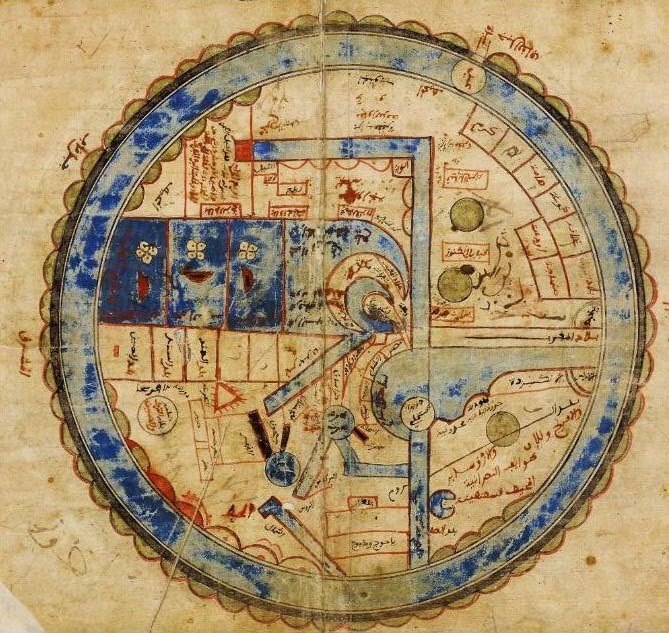 The manuscript, a highly illustrated treatise on astronomy and geography compiled by an unknown author between 1020 and 1050, contains an important and hitherto unknown series of colourful maps, giving unique insight into Islamic concepts of the world. The copy owned by the Bodleian library is the only nearly complete copy and the one to have been extensively studied and released in an electronic edition. Piri Reis is a well known Ottoman-Turkish admiral, geographer and cartographer from the 16th century. His famous world map compiled in 1513 and discovered in 1929 at Topkapi Palace in Istanbul is the oldest known Turkish map showing the New World, and one of the oldest maps of America still in existence. The half of the map which survives shows the western coasts of Europe and North Africa and the coast of Brazil with reasonable accuracy in addition to various Atlantic islands including the Azores and Canary Islands. This is one of the most famous maps from Muslim Civilisation. It was drawn by Muhammad al-Idrisi who was born in Ceuta (Morocco) in 1099-1100 CE, and died in 1166 CE. The map is oriented with South at the top as was common at the time. Al-Idrisi studied at Cordoba, and although he died in his birth place, he spent his working life at the Norman court of Palermo. At the age of 16, he travelled through Asia Minor, Morocco, Spain and the South of France and even visited England. His description of most of Western Europe is lively and, on the whole, quite accurate. The same is true of his treatment of the Balkans, whilst for the rest of Europe and for most of the Islamic world (with the exception of North Africa, with which he had a firsthand acquaintance) his account is based on the writings of others. It was during the Abbasid Caliphate when Islamic civilisation was said to have reached its peak. The Caliphs commissioned reports on roads to help their postmasters deliver messages to addresses within their empire. These accounts which initially resulted in the Book of Routes, laid the foundation for more intensive information gathering about far-away places and foreign lands with their physical landscape, production capabilities and commercial activities. With the development of more accurate astronomy and mathematics, map plotting became a respected branch of science. 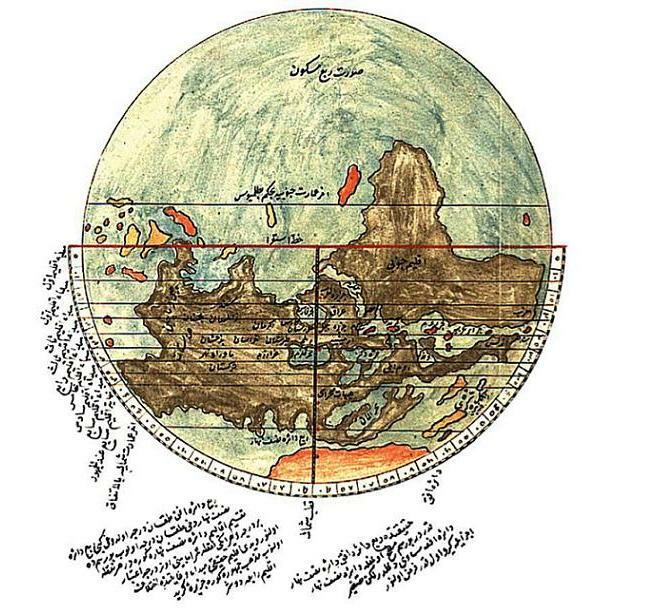 Geography became an important field of study especially with the work of Al-Khwarizmi, one of the earliest scientific descriptive geographers and a highly talented mathematician. His famous book, The Form of the Earth, inspired a generation of writers in Baghdad and Muslim Spain (Al-Andalus). It became a major source of inspiration to unearth, analyse and record geographical data among many well-known scholars after him. Ibn al-Wardi World Map 14th Cent. Gangnido/Kangnido map early 15th Cent. This world map was created in Korea and produced by Yi Hoe and Kwon Kun. The Kangnido map predates Zheng He voyages and suggests that he had quite detailed geographical information on much of the Old World. Abu al-Ḥasan ʿAlī ibn al-Ḥusayn ibn ʿAlī al-Masʿūdī was an Arab historian and geographer. The image below is sadly of a replica of his map. 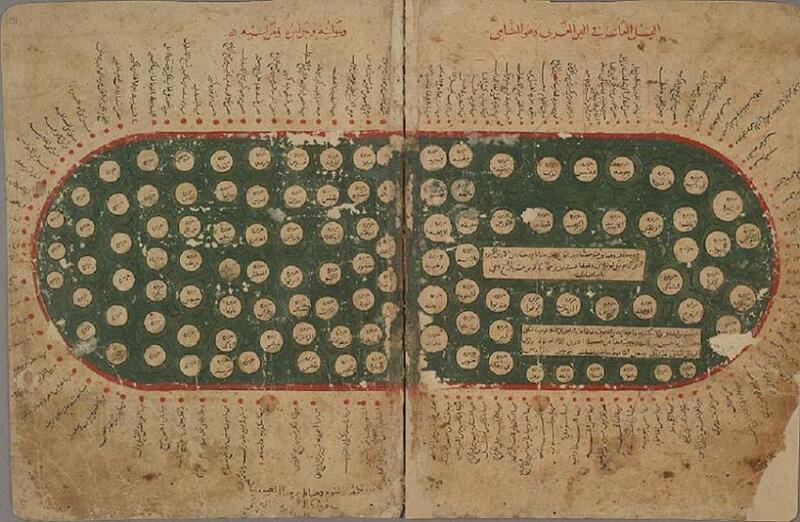 Al-Masudi's atlas of the world 10th Cent. He would have been in the top ten if it was a world map. Matrakci Nasuh was a famous Ottoman polymath, writer and knight who produced important books in several fields. He made contributions in the fields of mathematics, geography, history and calligraphy. He also invented a military lawn game called "Matrak", a kind of animation of battle. 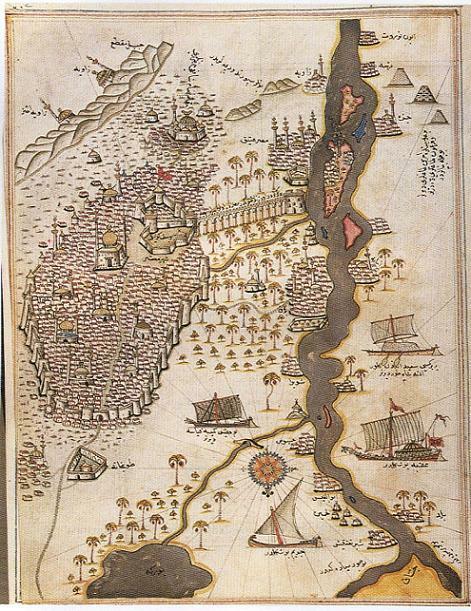 Mohammed Ibn Yousef Al-Warraq committed to paper the topography of North Africa. Al-Bakri who was an accomplished scholar and litterateur, wrote an important geographical work devoted to the Arabian Peninsula and the names of various places. Ibn Baitar of Malaga was driven by his genuine interest in pharmaceutical herbs and flowers to explore every nook and cranny of the Iberian Peninsula and the Maghreb (Morocco). Ibn Khaldun, a Tunisian adventurer, university professor and diplomat, is known for his works of sociology, economics, commerce, history, philosophy, political science and anthropology. He wrote his famous History of The World during a period of enforced exile. Ahmad ibn Majid, a poet and a navigator, also known for assisting Vasco da Gama in his quest of South Africa and for his Book of Useful Information on the Principles and Rules of Navigation.